On Wednesday 1 st May, we will be holding our Annual Stop MS appeal lecture. 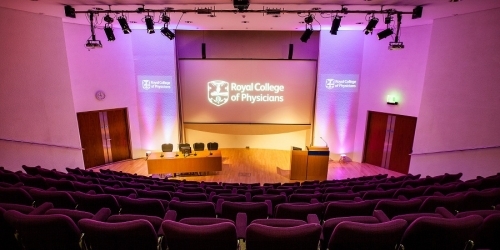 Taking place at the Royal College of Physicians, we will hear from Richard Reynolds, Professor of Cellular Neurobiology at Imperial College and Scientific Director of the MS Society Tissue Bank. Professor Richard Reynolds will present his lecture: ‘Drug developments for progressive MS: How close are we to success? The lecture will be followed by a panel session with our eminent Stop MS Scientific Ambassadors. This event will serve as an excellent opportunity to gain insight into recent developments in MS research. In addition, there will be time after the Lecture to meet some of our Scientific Ambassadors and chat to them about a huge breadth of MS research. If you would like to attend, or if you require any further information, then please email Hettie on Hettie.tetteh@mssociety.org.uk.